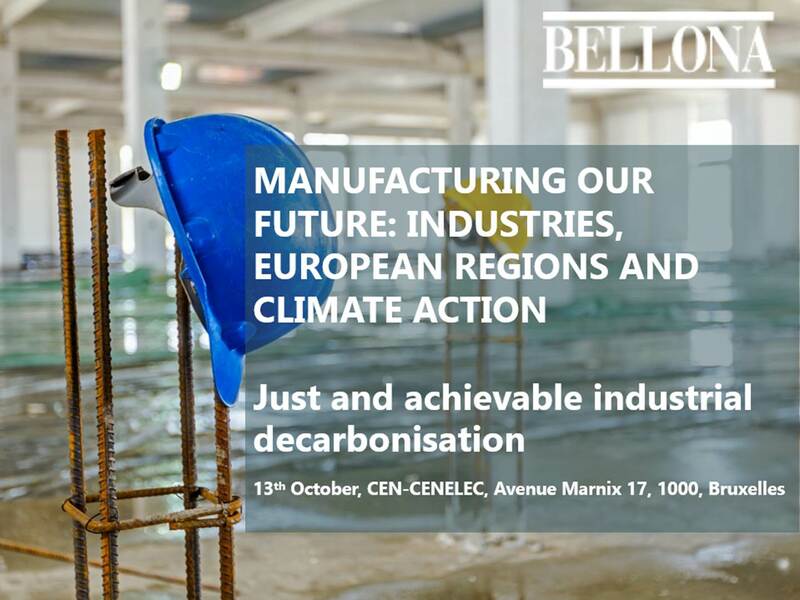 BRUSSELS – Today, 13 October 2016, Bellona Europa is proud to present its report “Manufacturing our Future: Industries, European Regions and Climate Action – CO2 Networks for the Ruhr, Rotterdam, Antwerp & the greater Oslo Fjord” at its launch event in Brussels. This report concludes that Industrial CO2 Capture, Use and Storage (iCCUS) technologies provide a critical and cost-effective solution to reaching Europe’s climate goals. However, current EU and national policies have so far not given the needed signals for European industry to invest in CCUS projects, and more importantly, very few plans exist to put in place an enabling infrastructure for strategic industries. A societally and climactically disastrous choice is emerging: to decarbonise, or to retain industrial production and employment: This is a false choice. “A change in approach is required to enable the decarbonisation of strategic European industries” notes Keith Whiriskey, Climate Technologies Manager at Bellona Europa and co-author of the report. This new report outlines concepts for making industrial decarbonisation infrastructure and projects investible in Europe in the short term. Given the lead times for developing CO2 storage and transport solutions, Europe has no time to lose. 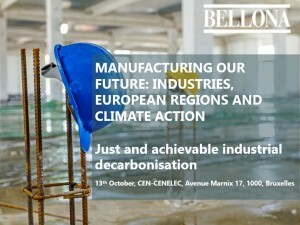 Bellona’s conference today serves as an arena for constructive dialogue between speakers from European energy-intensive industries, labour unions and regional and European policy makers, who will share their approach to enabling deep decarbonisation of industry, while maintaining competitiveness and advancing investment. For further details and full agenda of the event see here. 2015 was the hottest year since records began, at 0.76° Celsius above the 1961-1990 average. In the same year, governments from around the globe concluded an ambition to halt global warming at 1.5° and a maximum 2° Celsius. iCCUS will be a crucial pillar in deeply decarbonising European industrial products. Sectors such as Steel, Cement, Refining, Fertiliser production, Waste to Energy and Chemicals all require CO2 transport, CO2 utilisation and storage networks to radically improve climate performance. Industrial CO2 capture technology is ready to be deployed at scale. Yet even for industries such as ammonia production which has low (<€10/tonne) CO2 capture cost, this is not taking place because industry lacks access and possibility for the transportation of large volumes of CO2. No single cement or steel company is likely to develop geological storage sites and build CO2 networks for which they have no expertise, let alone a business case. Lacking access to CO2 infrastructure, industries find themselves in a poker game with EU authorities to retain free emission allowances; a game in which they are not served by a solution-oriented approach to climate action. In this context, it is encouraging that the unions (ETUC) now are part of this conversation. The message is clear: industrial products will be needed also in the future. Shifting from production to import to meet climate targets, with closures and job losses, will not do. Involving the unions to build bottom-up cases at regional level, and exert pressure on national and EU authorities to fund CO2 Market Makers could prove an effective strategy. Bellona proposes to use state-owned and/or -funded CO2 Market Makers (regional CO2 transport and storage infrastructure development organisations) to break the current inertia, providing guarantees in each part of the iCCUS value chain (CO2 storage, transport and capture). Investments should follow the CO2 hubs and clusters model, sharing infrastructure between various industrial emitters to reduce costs for all through economies of scale. A key opportunity was created by Norway’s October 2016 announcement of its decision to progress three industrial CO2 capture projects with one common transport and storage solution – a west coast ship terminal hub for CO2 delivery and a large pipeline to offshore storage, allowing for CO2 to be transported and permanently stored from a very large number of eligible emission sources in Northern Europe and beyond. The Norwegian energy ministry will be present at today’s launch event to present its plans. EU funding schemes eligible for CCS projects and that could possibly be accessed to capitalise/fund CO2 Market Makers exist, yet they are highly fragmented. The European Commission’s CCS mandate from the EU 2030 framework for Climate and Energy is limited to the ETS Innovation and Modernisation Funds – pressure is needed to generate effective action, notably from the regional authorities and other stakeholders in Europe’s strongest industrial regions. They are the ones who need such support the most to avoid a growing contradiction between employment and climate ambition, hence they are also the ones who will benefit the most from EU support in rolling out enabling infrastructure. Regions must now act to bring together their stakeholders and exert pressure on not only their national governments, but also on the EU institutions, to ensure Europe’s climate agenda doesn’t become one of growing unemployment in their industries. “That is the most certain way to undermine all political support for EU climate ambition – we need a just transition” argues Jonas Helseth, Director at Bellona Europa and co-author of the report.